Talk to one of our destination experts. Get first hand ski travel knowledge that you can trust. Mont Tremblant Ski Resort - Accommodations at Mont Tremblant Ski Resort range from inviting Mont Tremblant condominiums to luxurious Mont Tremblant hotels, and any lodging arrangement in between. 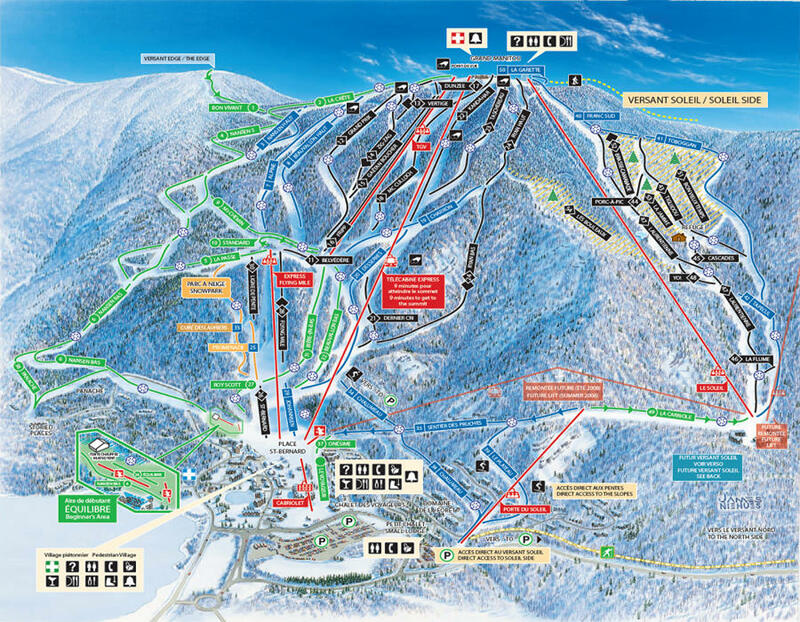 The wide range of rental properties offered at Mont Tremblant are sure to fit your taste. Our ski vacation specialists are available to assist you in choosing the perfect ski vacation rental at Mont Tremblant, and can also help you find exceptional deals on lodging at Mont Tremblant. 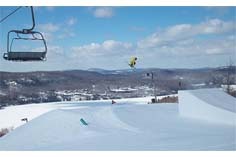 This Winter ski season let our experienced ski travel experts organize your Mont Tremblant ski vacation travel package. A customizable Mont Tremblant ski trip including hotel accommodations, condo rental, lift tickets, ski rentals and more is just a few clicks or a phone call away. Book your Mont Tremblant ski vacation package by talking to one of our ski vacation specialists now at 800-343-2626 to start planning your Canada ski vacation. Make your Mont Tremblant reservations today! Located in the middle of the action, Domaine du Village is at the heart of it all – just steps for the Cabriolet, gondola, village shops and restaurants. Affordable and very comfortable, these practical condos are ideal for a getaway with friends or family. You will appreciate the proximity to the ski slopes, hiking trails and exciting life of the pedestrian village. Le Westin Resort & Spa Tremblant provides the ultimate in comfort, urban luxury embraced by nature and service in the heart of the pedestrian village. Located at the base of Mont-Tremblant and right in the upper pedestrian village, Homewood Suites by Hilton feature stunning views and gracious living to make your stay at North America's No 1 ski resort remarkable. Copyright © 2015 - 2016 SkiRun.com Daman-Nelson Travel, a division of Vacation Roost. All Rights Reserved.